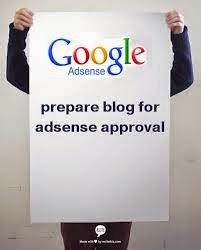 Can a Blogger Blog Get Google Adsense Approval? Google Adsense is of the best way to make money blogging and also a sure way to earn money through one's blog site also Blogger platform or any other platform. Many people especially blogger believed that a platform may be favored than the other when applying for Adsense but i do not agree to that because i tested both ways. Blogger or Wordpress are both good but the secret is that blogs on blogspot can also be more popular than the customs blogs. The most successful blogs in the world with high remuneration from Adsense most times are blogger blogs while some are free blogspot site with or without a custom domain.